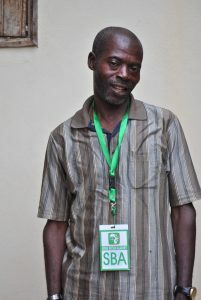 You may probably have seen him before on our pictures, standing next to our students or the SBA team. Let me introduce Merlin, the official driver of the SBA for our travels in Cameroon. Or maybe should we say “Colonel VIP Prestige”, like the name of his taxi. During travels in Cameroon, the SBA team prefers working with a full time taxi driver, to manage the always busy travel and meeting plans. 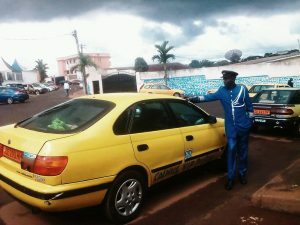 Merlin, taxi driver in the city of Yaounde, had previously worked for Elisabeth, President of the association. This is why she introduced him to us and we appointed him as our official taxi driver for his great pleasure. 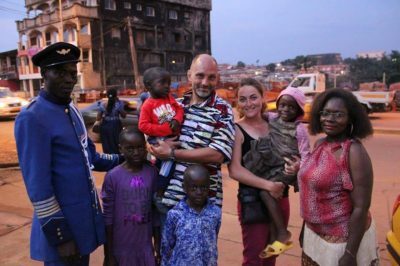 As we already mentioned, it is quite common in Cameroon to name a child according to a person encountered, or to honour this person. There are for example four Elisabeth in Bangangté. Merlin first encountered Lionel 3 years ago … and know Merlin became our “Colonel VIP Prestige”! 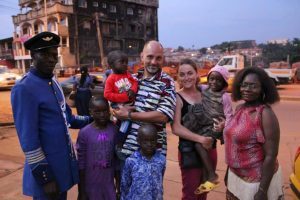 Thanks to SBA, Merlin and his family also benefit from primary care and school material for the children.